Following a Stormont debate of the decades of under-investment and economic malaise in Down District, Chris Hazzard Sinn Féin MLA has this week called for a reinvigorated approach to rebuilding the local economy in the area. The battle to boost the ailing Down District has begun. “Following on from a recent feature in the local press regarding the abject failure of local government and associated bodies to build economic prosperity in Down District over the last two decades, I have been lobbied intensively by local business and youth origanisations to give them a voice in Parliament Buildings, so I am delighted that a motion on economic investment in Down was finally heard,” said Mr Hazzard. “We have now begun to put in place the building blocks for reinvigorating our local economy, and as we continue to work in partnership with Down District Council through the Jobs Taskforce, it is vital that we do all in our power to give local businesses the tools to succeed. “In recent weeks Sinn Féin have tabled motions in local Council and the Assembly asking for tangible economic results for the people of Down – including the need to utilise more than 50 acres of InvestNI land in Downpatrick and the restructuring of the Downpatrick Business Centre. “I am also determined that we continue to push for the urgent development of our infrastructure throughout the constituency. If we are to capitalise on the huge potential of the district then we must have the desired roads and tourism infrastructure in place. “Projects such as the Ballynahinch Bypass must proceed in a timely fashion in order to allow us to attract major investment. It is with this in mind that I have written to the Roads Minister seeking an explanation to figures announced recently that Down District received a paltry 1.8% of Roads Capital Investment in the last five years. “If we are to rebuild our economy in Down District then we need all political parties, government departments and local businesses working in partnership with the one goal in mind: an economically prosperous future for all the people of Down,” said Mr Hazzard. 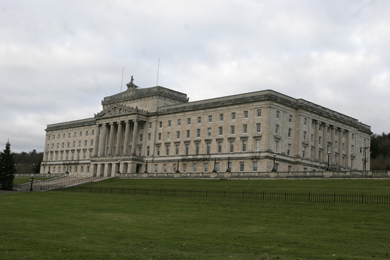 South Down SDLP MLA’s Seán Rogers and Karen McKevitt have called for more targeted and coordinated economic support from Invest NI and the Northern Ireland Executive to support investment and job creation in Down District. Speaking at the Assembly debate on the lack of economic development in Down District, Seán Rogers said: “It is good to get the economic development needs of South Down and particularly the Down District area on the Assembly’s agenda. Mr Rogers explained that total income from farming has dropped by 50% in real terms, and added to this there has been higher than average rainfall which has affected crop yields, Heavy snowfall also devastated many family farms in Down District. 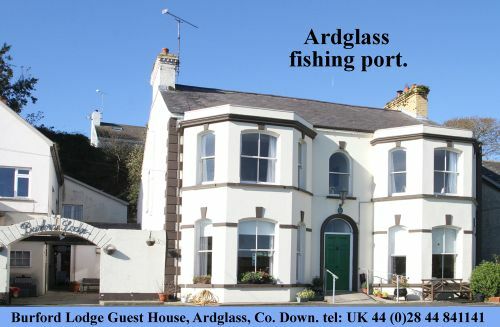 He added: “Our Ardglass fishermen along with their colleagues in Portavogie and Kilkeel have also had to contend with the bad weather, imposed quotas, Isle of Man fees, gear changes and in the face of all of this an absence of hardship payments. “The construction industry in South Down has not escaped the wider economic challenges facing construction workers right across the island. “The reality of all of this is a considerable reduction in the income of farmers, fishermen, construction workers and their families and this reduction is reflected in our towns and villages with empty retail premises and closing down sales”. Mr Roger’s Assembly colleague Karen McKevitt joined him in calling for a more targeted focus by Invest NI and a more joined up approach by government departments in boosting economic development in Down District. She said: “The relationship between Down District Council, local business people and Invest NI is improving but Down District still comes at the bottom of the list when it comes to Invest NI assistance per head of the population. That must be addressed. “There has been some positive local action with the appointment by Down District Council of a new Economic Development post and that must be welcomed. However, local action must be supported by a joined-up approach by central government. “We need a commitment from the Executive, and individual Ministers, that more will be done to support economic and tourism development in Down District. With urban regeneration schemes and the East Coast Master plan, I recognise there is an appetite for developing the area but we need more than plans and draft schemes. “We need urgent action from the top level”, added Mrs McKevitt.